TRAVERSE CITY, Mich. (AP) — A mission to rebuild the depleted wolf population at Isle Royale National Park is getting underway in Michigan and Minnesota, as specialists prepare to trap six to eight of the predators on the mainland and fly them to the Lake Superior archipelago, officials said Friday. 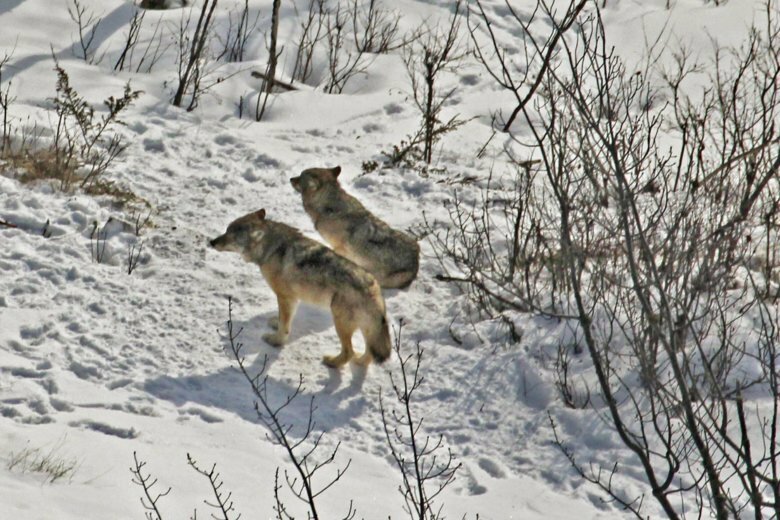 Wolves targeted for movement to Isle Royale will be taken from populations in Michigan’s Upper Peninsula and the Grand Portage Band of Lake Superior Chippewa reservation in northeastern Minnesota, park Superintendent Phyllis Green said. Officials also hope to get wolves from the Canadian province of Ontario in the future, she said. “We’re looking forward to a safe and successful translocation,” Green said in a phone conference with reporters from the park headquarters in Houghton, Michigan. The operation will involve about 30 scientists, pilots and technicians from federal, state and tribal agencies. They’ll have a delicate task of selecting healthy, genetically diverse wolves, preparing them for the journey and transporting them safely to the park, which lies about 14 miles (22.5 kilometers) off the Minnesota coast and 60 miles (96.5 kilometers) from the Upper Peninsula. Mainland wolves will be caught in leg traps, anesthetized and examined for suitability. Preferred are those aged 1 to 5 years — ideal for reproduction — with clear eyes and strong canine teeth needed for killing and eating moose, said Mark Romanski, the park’s natural resources chief. Disqualifying flaws could include bone fractures, missing limbs, heartworm and mange. Equal numbers of males and females will be sought. Park service veterinarian Michelle Verant will conduct blood and feces tests to make sure a candidate is free of diseases that could lower survival prospects and infect the island’s population. Those chosen for relocation will be vaccinated, de-wormed and treated for prevention of fleas, ticks and lice. The wolf restoration, a departure from the usual federal policy of non-interference with natural systems in designated wilderness areas, is intended to prevent a runaway moose herd from overeating the island’s trees and shrubs. “It’s possible that moose could do a lot of long-term damage to the forest,” said John Vucetich of Michigan Technological University, one of the scientists who have observed wolf-moose dynamics at Isle Royale since the 1950s.